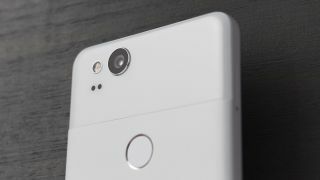 Google's Pixel 3 handsets have been leaking left, right and center at the moment, and the latest rumors suggest the larger version of the handset is set to have wireless charging features. A video from Twitter account Khoroshev shows what appears to be a functioning Pixel 3 XL and it clearly shows an animation that suggests the phone has Qi wireless charging built-in. An earlier leak - which you'll want want to see as it provides photos of the handset - also includes an image of what comes in the box, and that shows Google seemingly doesn't plan to include a wireless charger with the phone, so you'll likely have to buy one separately. We don't know if this means the standard Pixel 3 will feature wireless charging too, but it would be strange for the company to opt to include the feature on just the larger phone. This also suggests the Pixel 3 and Pixel 3 XL will feature glass on the rear (as metal isn't good for wireless charging), which will be a first for the line of Google's own devices. We've previously seen some rumors of a Google Pixel Stand wireless charging dock as well, so expect to see that appear at the Pixel 3 launch when it finally happens later this year. At the moment rumors point to the Pixel 3 and Pixel 3 XL being introduced at an event hosted by Google at some point in early October. We don't currently know an exact date, but we may hear more soon considering leaks are now coming in thick and fast.